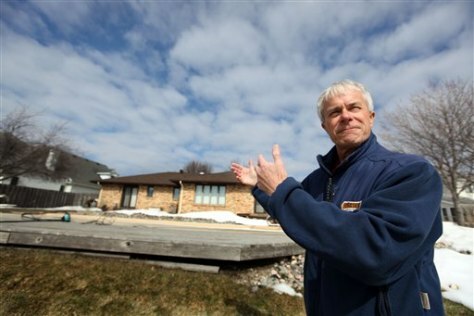 Gary Mailloux, outside his Fargo, N.D., home on Tuesday, says his flood insurance policy is a cheap investment. "I think it only costs me 12 bucks a month," Mailloux says. "I waste money at a higher rate than that."